ORLANDO, Fla. - One of the most expensive pieces of jewelry anyone can purchase is an engagement ring or wedding ring. But how can you make sure that you are purchasing a ring with a diamond that is real, or of the quality the jeweler says it is? Hundreds of couples have come forward claiming that the real diamonds that they paid for were swapped for fake ones. On the Boycott Kay Jewelers Facebook page, countless frustrated couples have come forward to share their experiences. So how can you get results for yourself and make sure you can tell the difference between a real and a fake and make sure you’re getting your money’s worth? News 6 talked with Bay Hill Jewelers owner and designer Stacey Papp to help you in the diamond-buying process. Papp, who has over 20 years of experience in the jewelry business, said choosing a jeweler or store that you trust is key. “You want to buy from someone who has a great reputation and is honest. You should always go with gut when you walk into a business and how do you feel? How do you feel when you walk in? How are you greeted? Do you feel like the people are professional?” Papp said. Papp also said to look up the reviews of the business and read about its experiences. You are building a comfort level with the business. Her suggestion: Start with a local business. “A local family business is a great place to start because you can go back to them as many times as you want. You can continue to come in and ask more questions and have that comfort level,” Papp said. Consumers should be asking a few questions when they are going to purchase a diamond. Papp suggests starting the conversation with the jeweler about the diamond's characteristics, including the clarity and the cuts. “What is an ideal cut diamond? What is a well-cut diamond? What is the difference between different cutters? There is a lot of knowledge that goes along with a diamond,” she said. The best way to get the diamond’s carat weight and measurement is to buy a loose stone. “Have it weighed in front of you. That way you can see exactly what the stone weighs on a scale. And then when it is placed in the mounting you will know exactly what the center stone weighs and what the side stones weigh. So you will have your carat total weight when you are done,” Papp said. So we asked Papp, is there any way a diamond could be weighed and measured and appear differently from one store to the next? Is there any way that that weight could be off? “If the stone is in a mounting, it is very hard to get an exact measurement on the millimeter across and the depth, especially. Depending upon how the stone is set, it is hard to get the depth percentage, if you can’t actually take the loose stone and put it into a gauge. It can be a variation of opinions from store to store,” she continued. Find the inscription by looking on the girdle. While some diamonds have serial numbers engraved into them to help you identify them, others do not. “Not all diamonds are inscribed. Certain brands, like Heart on Fire, they inscribe everything over a half a carat. So that's the standard for that company,” Papp said. 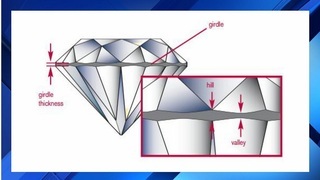 If you are looking for the serial number on your diamond, you can find it on the girdle of the diamond. The body of the diamond is the pavilion and the top of the diamond is the crown. The center, where the pavilion and the crown meet, is called the girdle and if you are looking for the inscription, you would find it engraved there. Consumers who are looking for more information about their specific diamond can submit their gem to the Gemological Institute of America, or GIA. The GIA was founded in 1931 and they are the authority on diamonds, gems and pearls. The grading report details what the industry calls the 4Cs: color, clarity, cut and carat weight. On the report, you can find the date of the stone, report number, shape and cut, polish, proportions, symmetry and grading scale. Checking the report is something that Papp recommends. 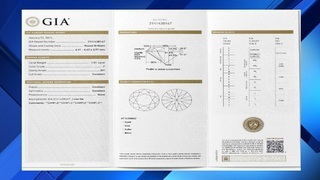 “It is always beneficial to have a diamond grading report with your stone. That will tell you what the characteristics are in your stone,” she said. If you still have questions, you can take the certificate with the diamond to a professional for peace of mind. “They can show you those characteristic and what they look like under a microscope, so you will feel more confident, knowing more about your diamond,” Papp said. There is one thing, however, that the grading report does not tell you: the value. Papp told News 6 getting your item appraised will tell you the exact value. “We always recommend getting the appraisal, of course. If you just have the certificate and give it to your insurance company, you don't have a value on it. 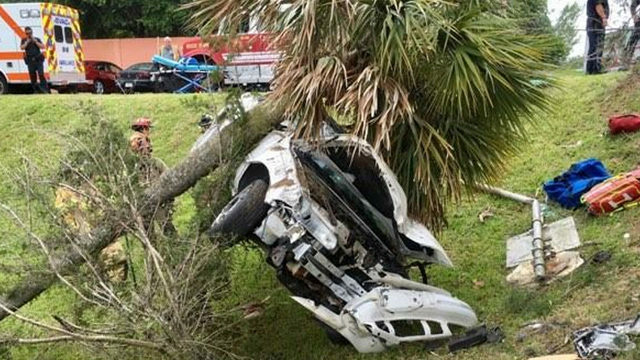 So that appraisal that comes along with it is beneficial to getting your insurance, so have the right amount of coverage,” Papp said. It's important to make sure that your jewelry is not over-appraised. “If... you paid $10,000, maybe it's worth $12,000. You don't want it appraised at $20,000. You don’t want to pay for something that is over-appraised. You are paying insurance on something that is over-appraised. So you want a reasonable amount of insurance to cover you if there is a fluctuation in the market over the next few years," Papp said. In the end, purchasing a diamond is a financial investment and going with someone you trust is key, Papp said.